In Chinese history, the missionary efforts of 16th Century Portuguese Jesuits and 19th Century Europeans contrast each over in practice, intent, and outcome. Both impacted China’s relations with western powers although with opposite effects. 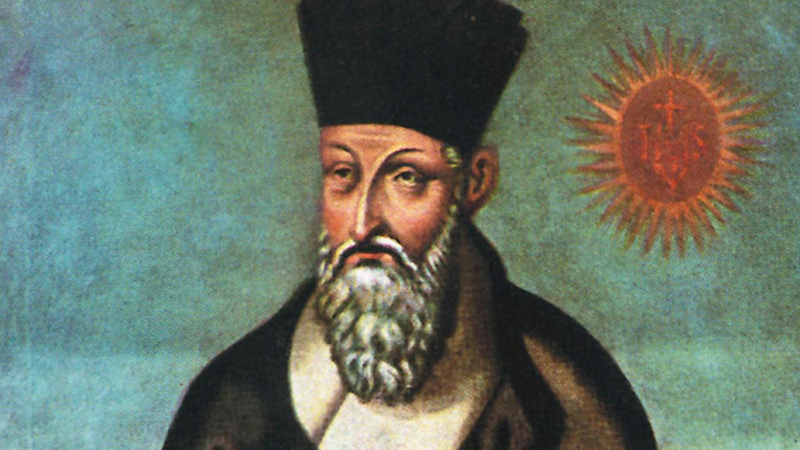 The Jesuits’ success can mostly be attributed to one man, Matteo Ricci, whose patient and graceful approach stands stark against the heavy-handedness of Catholics and Protestants from Europe and America. Before further description, it is important to note that China in the 16th Century and China in the 17th Century were drastically different in military power and regional influence, however both valued traditional Confucian ideas and similar culture. While both missionary attempts made gains by converting Chinese, their progress was stifled by the ego of the West and its low opinion of China’s culture, customs, and beliefs as honey attracts more flies than vinegar. Matteo Ricci and his fellow Jesuits came to China in 1583 and spent 27 years improving Chinese and Western relations, introducing Western science and technology, and spreading Christianity to more than 400,000,000 Chinese. They prepared by learning the Chinese language and studying Confucian philosophy and other Chines culture. The Jesuits flattered Chinese officials by adopting their way of dress and sharing scientific knowledge of the West including astronomy, geometry, trigonometry, mathematically accurate maps, and other machinations produced by western science. Unfortunately for Matteo, only the Chinese appreciated his cultural respect for the Pope became concerned about Jesuit Missionaries becoming more like Confucian scholars and brought an end to Matteo’s approach. Eventually, the Yongzheng Emperor outlawed Christianity whose followers faced oppression and persecution until the missionary movement of the 19th Century. This seconded attempt to Christianize China came at a time when China’s military could do little to stop European occupation after the Opium Wars. Both Catholic and Protestant missionaries came into China following the Treaty of Tianjin which ensured Christianity could be openly taught and practiced only this time the missionaries had much less respect for China’s culture and its people. In their opinion of the Chinese, Christian officials used such as rubbish, materialistic, superstitious, imbecilic, ignorant, weak, conceited, heathen, pagan. The Chinese elite held disdain for the Christian mercenaries who had taken their place as leaders of converted communities and used coercion or force to settle disputes. These proud Confucian scholars propagandized Christians as sexual deviants describing in detail supposed sexual acts against children and infants and among family members. As anti-Christian sentiment grew among native Chinese violence erupted in several places with once instance involving an angry Chinese mob slaughtering French missionaries and nuns and mutilating their dead bodies. Incidences like this only fueled the xenophobia of the increasing European presence and dominance in China and gave Europeans an even less favorable view of China which led to Europe’s shunning of Chinese interests at the Treaty of Versailles following the end of WWI. Schoppa, Keith R. Revolution and Its Past: Identities and Change in Modern Chinese History. 3rd ed. Pearson. Upper Saddle River, New Jersey. 2011. Moise, Edwin E. Modern China: A History. 3rd ed. Routledge, London. 2008.